1983 was the last production year for the highly regarded Bayfield 29 and this Ted Gozzard design has stood the test of time with flying colours. A safe, proven shoal-draft cruiser with classic lines. 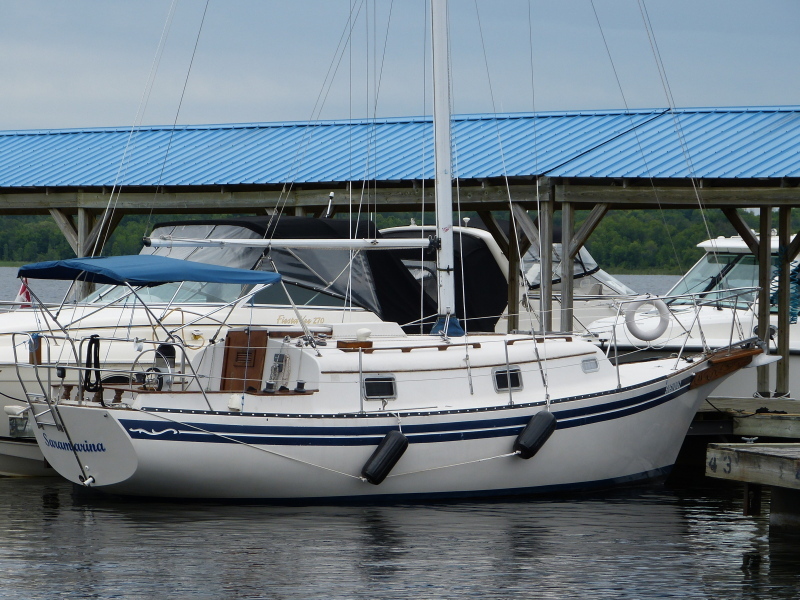 Saramarina is in above-average condition and is a great choice for serious Great Lakes cruising with an updated sail inventory and recent electronics. Her mid-boom sheeting configuration reduces cockpit clutter, allows a larger bimini and leaves the taffrail free-and-clear of rigging. The package includes a collapsible steel cradle and winter tarps. She's currently in the water and ready to cruise with slip and winter storage paid through April 2017.